From left to right: Lt. Comm. John P. Wolfe, Lt. Comm. W. B. Durant,, Captain Russell H. Sullivan, and Lt. Comm. C. B. Wash. From the Brooklyn Daily Eagle Sun, February 20, 1949. John Patrick Wolfe was born on September 26, 1913, in Clinton Iowa, the son of John Loyola Wolfe and Mary Catherine Kane and the oldest of five children. His siblings were Matthew Kane (b. 1916), Mary Catherine (b. 1918), Robert Francis (b. 1921), and Margaret Ann "Margie." Mary Catherine died in 1920. Robert Francis died in 1943, testing a plane at Quonset, Rhode Island. Wolfe's father was a lawyer and former member of the state House of Representatives (1908–1911). Wolfe enlisted in the U.S. Navy Reserve on February 14, 1941, and was commissioned an ensign on May 15 of that year. On December 7, when the Japanese attacked the Pacific fleet at Pearl Harbor, Hawaii, Wolfe was serving as a gunnery officer on the destroyer USS Blue. At sea for the previous week, the ship's crew had been given liberty the night of December 6–7, with the top officers still on shore as dawn broke. Japanese planes fired on the ships beginning at 7:55 a.m., and according to later testimony before Congress by Ensign Nathan F. Asher, the ranking officer aboard, about 135 men, or about 80 percent of the crew, were on the ship. "There were several men who, I would say, had been drinking and still had a hangover," he told the committee, "but in the morning of the attack they all snapped to and […] all remarked that they had never sobered—the few that were under the influence of liquor—later said they had never sobered up so fast in their lives." By 8:05 the Blue had opened fire on the Japanese planes with .50-caliber machine guns under Wolfe's charge. The ship eventually made it out of its docking and into the open sea, where it patrolled and eventually joined other survivors of the attack. In the meantime, the crew shot down four planes, with one crashing in Pearl City. "When the crew saw that plane down," Asher recalled, "they stopped shooting and proceeded to pat each other on the back. Then the chief gunner's mate went back there, thinking there was a casualty because he did not hear the firing. Then they went back to their battle stations and continued to fire." The Blue also sank two Japanese submarines. After the first contact, Asher ordered depth charges to be dropped. "I then turned around and observed a large oil slick on the water," he said, "and we observed bubbles coming to the surface along the length of approximately 200 feet." In both his after-action report and congressional testimony, Asher praised Wolfe's part in the action, which resulted in no casualties or damage to the Blue. "Ensign Wolfe, who was assistant gunnery officer […], performed remarkably well and remained in control during the entire time and solely controlled the battery during the fire." Wolfe eventually received a letter of commendation for "distinguished service and devotion to duty during the attack on the U.S. Pacific fleet in Pearl Harbor." 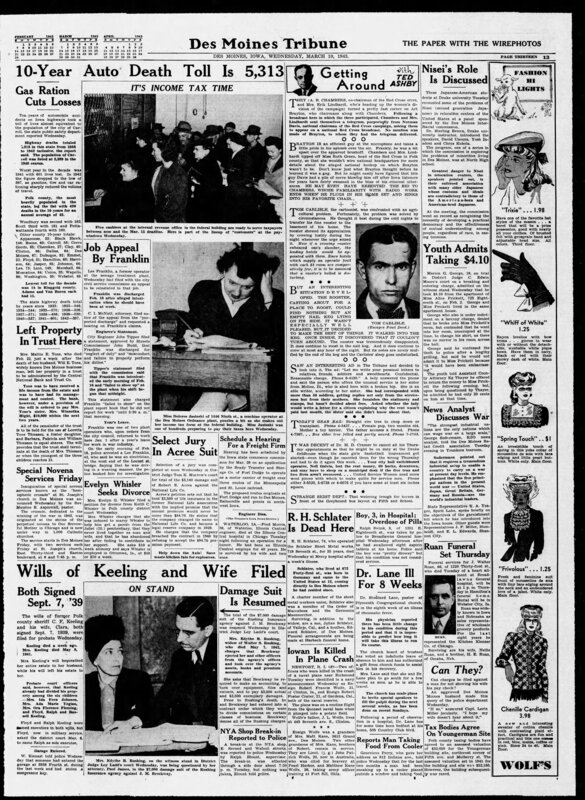 On December 25, 1941, the Honolulu Advertiser ran a front-page account of the Blue and its crew's heroics, although it was required to keep all names confidential. The Clinton Herald later reported that Wolfe wrote his parents on January 3 that "if the credit were to go where the credit is due the story would be all about the men and not so much about the ensigns, but you know how it is: the fellow with the ball always gets the glory." Wolfe remained in the Navy for the remainder of World War II, serving aboard the USS Shelton and USS Birmingham. He participated in the attack on the Marshall and Gilbert islands and the assaults on Wake and Marcus islands. At some point during the war he married Olive Cloffie Keuhn, a native of Stillwater, Minnesota. The couple had six children: Mary Catherine (b. 1943), Stephanie Marie (b. 1944), John Patrick Jr. (b. 1947), Sheelah Ann (b. 1949), Francis Kelly (b. 1952), and Bridget (b. 1954). On October 3, 1945, Wolfe was promoted to the Reserve rank of lieutenant commander. On August 28, 1946, he transferred out of the Reserve and into the Regular Navy, and by 1949 was stationed at the Navy supply depot at Scotia, New York. Later that year, on September 3, the Los Angeles Times reported that he had been assigned to be lieutenant commander of the USS Yosemite. He was officially promoted to lieutenant commander of the Regular Navy on July 1, 1951, and on September 1, 1961, to captain. Wolfe retired from the Navy in August 1964 and moved his family from Chevy Chase, Maryland, to San Rafael, in northern California. He died there on October 12, 1997, and was buried at Mount Olivet Catholic Cemetery. Olive Kuehn Wolfe died on June 11, 2001, and was buried with her husband.